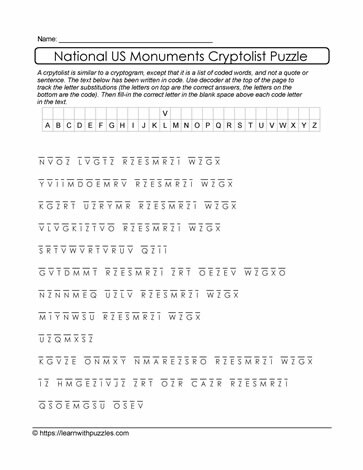 US National monuments cryptolist to challenge the brain and activate problem solving. Brain teaser. Home schooling, classrooms, tutoring resources to support theme based curriculum.